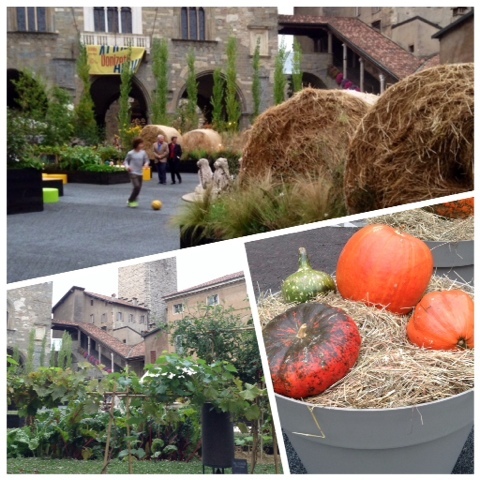 Mercurelli's Garden Design: I am in Bergamo! I am soo excited to be back in Bergamo (Italy) for I Maestri Del Paesaggio' (The Masters of the Landscape), organisd by Arketipos. Here a little peak of Piazza Vecchia (turned in Piazza Green for the event). Follow me on Twitter (@mercurellis) for more updates! Really you blog have very interesting and very valuable information about the landscape design nice work. Nice post. I hope you make another blog once you arrived in Italy. wow!! wonderful place as what I've read.